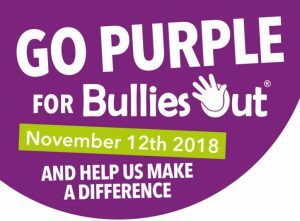 The National Centre Against Bullying (NCAB), an initiative of the Alannah & Madeline Foundation, is a peak body working to advise and inform the Australian community on the issue of childhood bullying and the creation of safe schools and communities, including the issue of cyber safety. The story and people behind NCAB. – Advice for parents, schools and kids. The latest news, opinions and blogs. NCAB is made up of 18 volunteer experts and chaired by the Hon Chief Justice Diana Bryant. The members include some of Australia’s leading experts in the field of bullying and cyber bullying – including psychologists, academics, researchers and educators. NCAB works closely with school communities, governments and industry. It plays an important role in speaking out for children and advocating for their right to be free from violence and bullying. Basing its position on the Kandersteg Declaration against Bullying in Children and Youth 2007, NCAB holds that governments, communities, organisations, schools and individuals must take action to protect children from bullying. Provide national leadership in addressing bullying and other negative behaviours and achieve safe and connected environments for young people. Change attitudes about bullying and related issues, and increase awareness of the harm it causes to individuals and society. Build the capacity, knowledge and skill base of a range of sectors to enable them to address the issues of bullying and wellbeing. Drive evidence-based practice in the fields of bullying and wellbeing. NCAB hosts a biennial conference in Melbourne, bringing together world-leading international and local guest speakers, presenters and delegates.